WITH Deputy Premier John Barilaro today announcing a $10 million funding commitment to upgrade the Coffs Harbour boat ramp, local boat owners and fishermen are enthusiastic about the potential to finally bring a fix to the launching issues in the harbour. Over the past 18-months, petitions have been collected calling for an urgent upgrade. 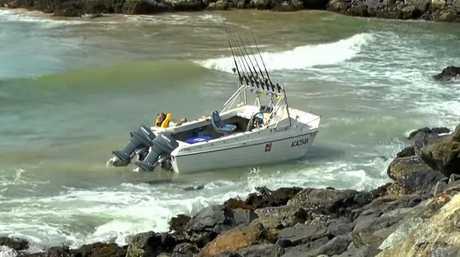 Crowdy Head boat ramp: Coffs Harbour fishermen want a harbour boat ramp similar to this one, near Harrington. 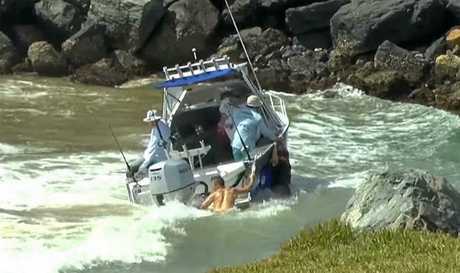 Videos have been posted across the country showing how treacherous the mouth of the boat ramp can be even after a $1.1 million State Government grant to Coffs Harbour City Council five years saw the boat ramp basin widened. But with an estimated 50,000 cubic metres of sand drifting into the harbour each year, the issue now is stopping a sand bar forming at the ramp entrance that sees propellers strike sand and motors cut out. Today's announcement by Deputy Premier John Barilaro will follow the recent attention the Shooters, Fishers and Farmers have directed to the Coffs Harbour boat ramp. Local fisherman John Gilchrist has been one vocal fisherman who has surveyed boat ramps elsewhere to see what's possible for Coffs Harbour. 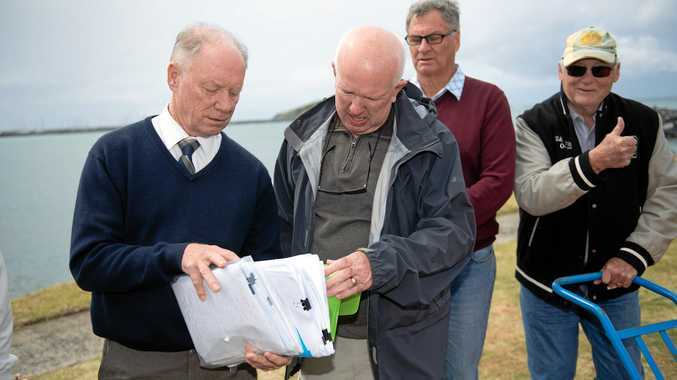 "To ratepayers the prospect of spending $100,000 annually to deploy a long-reach excavator for the remaining life of the boat harbour to desilt the entrance is madness - and it is apparent to locals that the $1.1 million worth of works funded by State Government grant and undertaken by council in 2015 to enlarge the boat ramp basin may also have been used to fund the resurfacing of Jordan Esplanade," Mr Gilchrist said. "Funds must be directed toward a permanent solution to the boat harbour/ramp problem. "What's the solution? It will be costly, however Coffs Harbour needs and deserves a permanent fix to the boat harbour problem," he said. 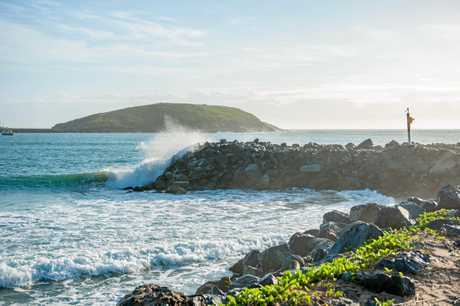 "Coffs Harbour and the Coffs Coast is a major domestic and international tourism venue and attraction. "Council has invested heavily in the recent upgrade and rejuvenation of the harbour foreshore, to their credit, and to date done a fantastic job - yet the recreational boat harbour and ramp facility remains a poor relation to the Jetty and foreshore works - it is sub-standard and an embarrassment to the community. He said the solution to Coffs Harbour's harbour boat launch problem existed in Crowdy Head, north of Harrington. "The video was shot on December 27 in a north-easterly gale - the boat harbour is sheltered, protected by twin rock breakwalls - which design could be and should be replicated at Coffs," he said. "The pontoons can accommodate at least eight vessels launching or retrieving from the ramps at any one time. 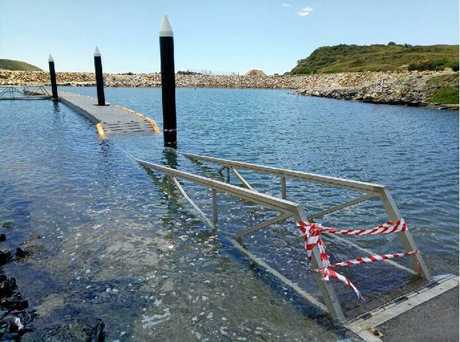 "If Taree's council can provide a facility like this for Crowdy Head environs with State Government assistance why can't Coffs Council do the same for us or better, say to provide four pontoons accommodating 16 vessels."